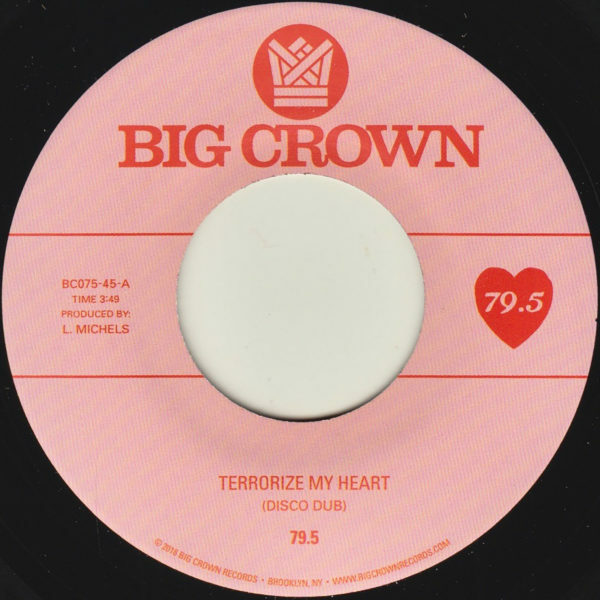 Following up on their debut full length release, 79.5 drops a new and revamped version of their dance floor classic “Terrorize My Heart (Disco Dub)”. A tune that leaves no room for gray and finds the ladies of 79.5 walking the line between vulnerability and forthrightness. Setting out with admonishments of love and infatuation that are quickly checked by the bluntness of women who’ve lived in the Big Apple for years, “is it her or is it me, that’s how it’s gotta be”. Remixed and remastered with a new intro for the DJs, producer Leon Michels and engineer Jens Jungkurth managed to take an already smash of a tune to a higher level.